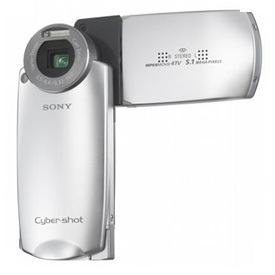 September 13, 2005 – Sony Europe today announced the release of the sleek Cyber-shot M2, a 5.1 megapixel hybrid video/still camera. Capable of shooting up to 50 minutes of high quality video, as well as stills, the Cyber-shot M2 is expected to be available in Europe in November at an estimated price of €599 ($735), with pre-orders currently being accepted at Sony’s European websites. American availability has not been announced.